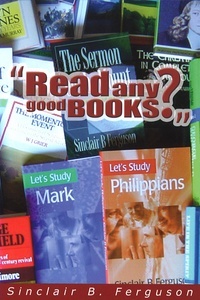 “You are what you read,” suggests Sinclair B. Ferguson in this booklet about reading and using Christian books. The spiritual health of individuals or Christian fellowships is often related to their reading habits. Read Any Good Books? discusses the kind of books we should read and gives practical advice about the use of Christian literature. At a time when an abundance of good literature is available in the English-speaking world, Read Any Good Books? encourages Christians to use their privileges to the full.